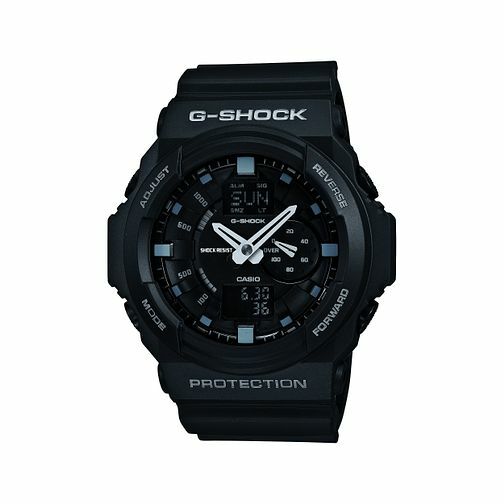 A fierce looking watch from top brand G-Shock. Packed with features this amazing watch offers you shock resistance, chronograph, alarm and date. Casio G-Shock Men's Black Bracelet Watch is rated 4.5 out of 5 by 6. Rated 4 out of 5 by Anonymous from Looks great Great looking watch. Nice and light, very resistent to being knocked about. Ideal for everyday wear.